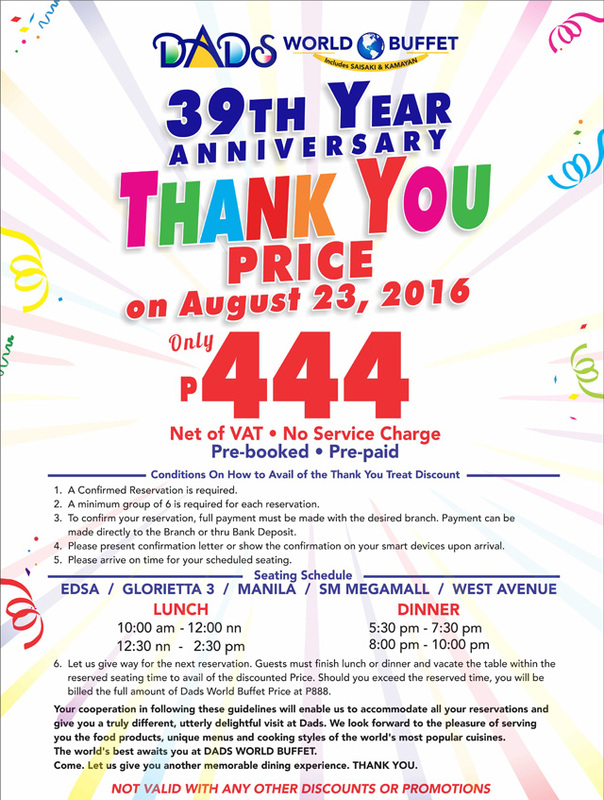 The pioneer in buffet restaurants celebrates its 39th Anniversary this August! Imagine that, 39 years in the business is quite an achievement. 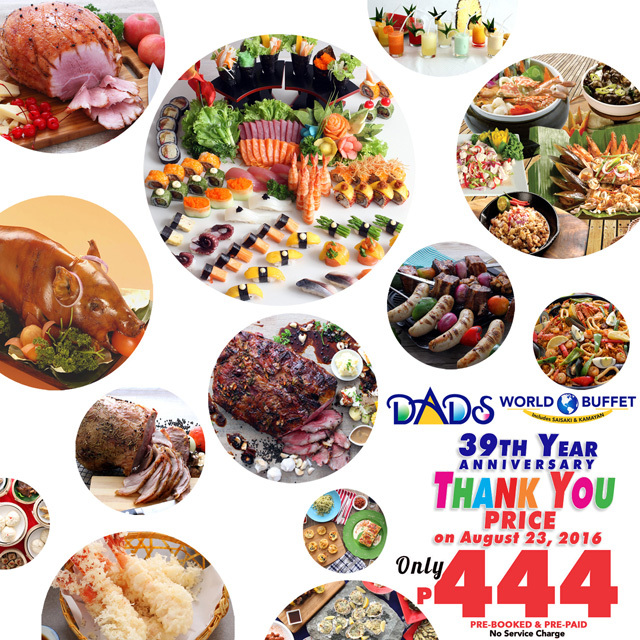 For one day only on AUGUST 23 Dads World Buffet is treating their guests to a special Thank Your Price of P444 for lunch and dinner. The promotion is on a pre-booked and pre-paid basis and requires at least 6 guests to a group. There are LIMITED slots per seating schedule so best to make a reservation ASAP. Read the full mechanics below to see how you can get the discount. You may also visit this link for details.